BASKETBALL SPOTLIGHT NEWS: Teach Me Classic Returns! 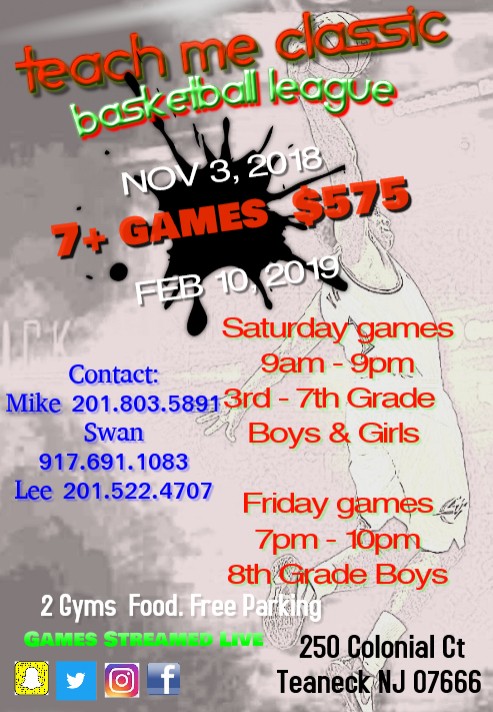 The Teach Me Classic has turned into the best winter league in the Northeast. Tough competition every Saturday. Games played in Teaneck, NJ two court facility. Free Parking, Great Games and Great Food. Come see if your team can play with the best of the best. Reserve your spot early. Tremendous giveaways and MVP League Jackets.